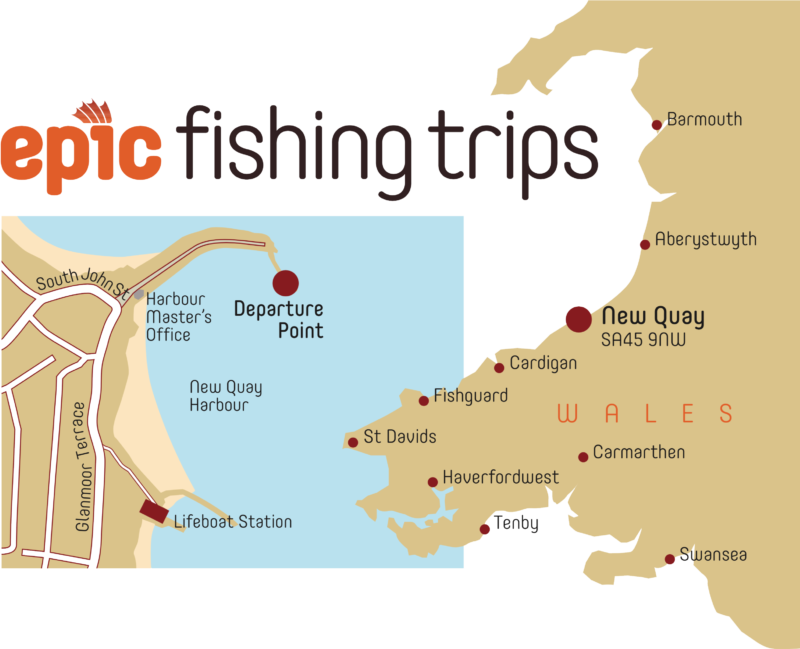 Our Epic fishing trips take place in one of the UK's richest environments for marine wildlife. We are lucky enough to see some wonderful sights almost on a daily basis. 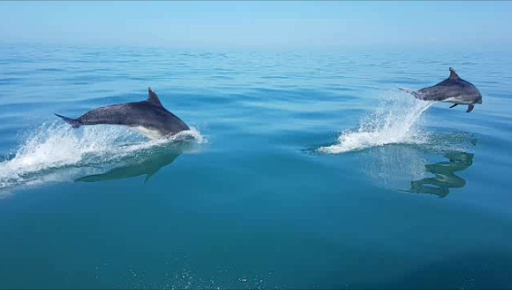 From dolphins to porpoise and seals to rare sea birds, our trips are blessed with some amazing wildlife sightings. 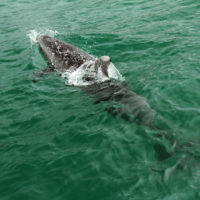 The bottlenose dolphins grow up to 4.5 metres in length and frequently will swim alongside the boat as we cruise to the fishing grounds. Whilst fishing the shy harbour porpoise sometimes passes by and a seal may pop up at any time. 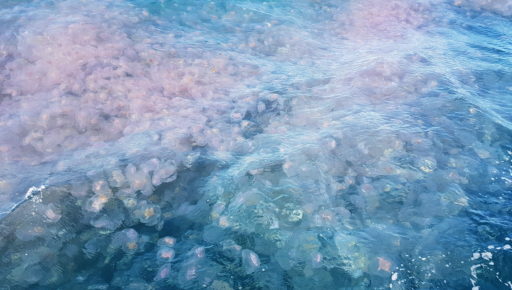 Massive barrel jellyfish sometimes bigger than a dustbin lid drift past in the tide and in high summer we occasionally spot the ocean wandering sun fish. Throughout summer visiting shearwaters here from Chile skim the surface with their wings as they fly past the boat. We regularly see Europe's biggest sea bird the gannet dive bombing for fish. And on occasion puffins and petrels are spotted too. 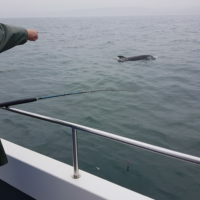 The vast majority of our fishing trips will include some special wildlife sightings but we can't guarantee this as every day is different and these are wild animals. One thing is for sure, your trip will be Epic!